I'm new to Lancia ownership and the club so I thought you'd like to see my GTie. After getting bored with VWs I decided to go all Italian. The car was up in Scotland and the owner very kindly drove it down to Wales for me. I've had it for about 5 weeks and can't wait for some decent weather to drive it. Welcome to the club for discerning Lancia owners! 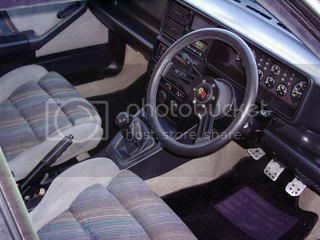 It looks very nice & I'm sure you'll have great fun driving it, I used to have a Delta HF Turbo which I loved, but I think the Gtie is a more rounded drive & long term bet, as well as being pretty rare these days,look forwarded to poring over sometime in the future. Hi thanks for all the nice comments. I don't think I can make it up to the Scotyish show unfortunately. Should be going to the Classic Car show at Tatton Park and also the show at Gaydon later in the year. I'm in North Wales just outside Chester - anyone know of any other good shows in the area? Do we have to be called Chris to run 2wd Deltas? You could look to the Giro di Salopia in June - centred on the Ironbridge Gorge, which should be an easy jaunt for you. You can admire my pristine 1300 if it ever emerges from the bodyshop... chugga boom is up your way - I'm sure he'll know your local shows and events. MITCAR is in Derbyshire this year, so that might be a reasonable one too. We'd love to see you and your new car at down here in Shropshire - as the other Chris said, it's not that far from Chester. The Giro di Salopia is the weekend of 8-10 June (ie after Tatton Park). So far we have lots of Integrales booked, so your GTie will feel at home. If you're interested visit web.mac.com/girodisalopia. You can download a booking form or I can send you one if you email me. Just purchased a GT i.e myself fun little cars!!!! 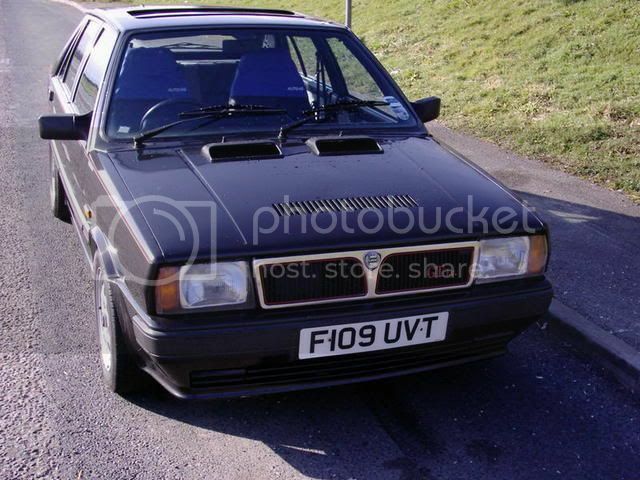 Delta GTie going free under cars for sale-Lancia on Omicrons web site, body knackered and has been off road for 4 years but looks like plenty of good bits on it.